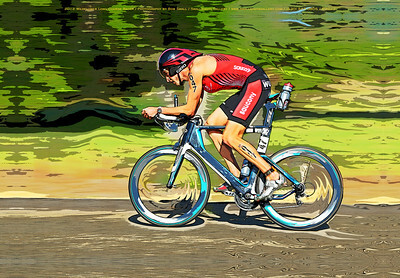 Artistic renderings of racers during the bike stage of various triathlons. All images in this gallery start as high resolution digital photographs, which are then artistically enhanced using various digital techniques. Some images are a combination of more than one digital photograph. They are stunning when printed on canvas or high-gloss metal. 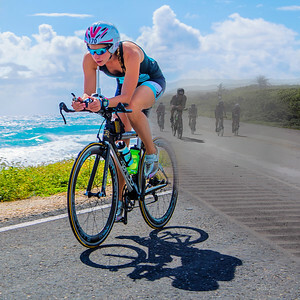 Breaker Breaker: One racer breaks from the pack against a background of lush aqua-colored breakers along the Playa Oriente during the cycling stage of the 2013 Ironman Cozumel. This image has a square format and cannot be cropped to create a rectangular print. Racer climbs a grade during the cycling stage of Wildflower 2013. 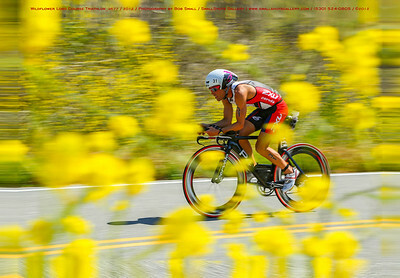 A racer speeds past mustard flowers bordering the road during the cycling stage of the Long Course Wildflower Triathlon. 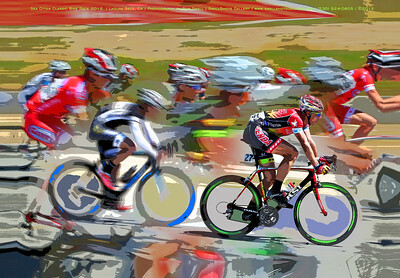 The peleton speeds along during the Sea Otter Classic cycling race. 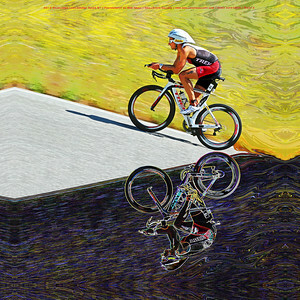 The Road to Success Goes Uphill and is never easy: An artistic rendering of a racer cruising along during the cycling stage of the Wildflower Triathlon. 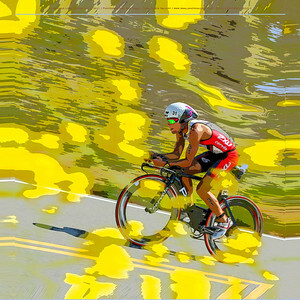 An artistic rendering of a racer speeding past mustard flowers bordering the road during the cycling stage of the Long Course Wildflower Triathlon. 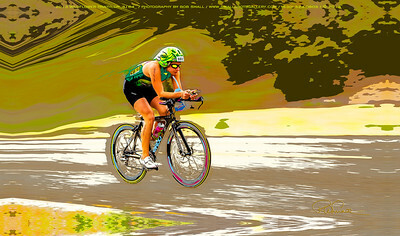 Into the Turn: a racer rounds the turn during the cycling stage of the Wildflower Triathlon. 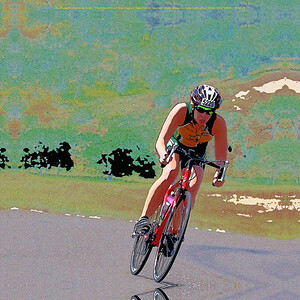 A racer speeds along during the cycling stage of the Wildflower triathlon. 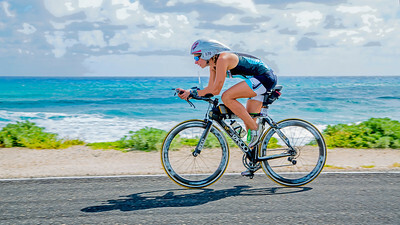 Whitney Small rides past people along Punta Morena who have another idea of how to have fun during the 112-mile cycling stage of Ironman Cozumel 2013. 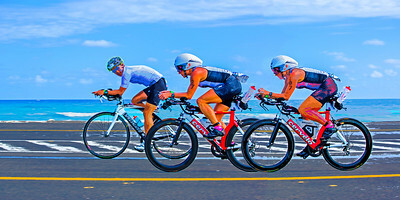 The Overtake… Racing during the 112-mile cycling stage of Ironman Cozumel 2013 along the Playa Oriente area of Punta Morena near Mezcalitos on the east side of the island. This image is exactly the same as the adjacent one, but an artistic frame has been added. 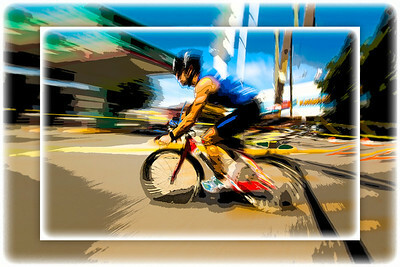 The image is also composed to ideally yield a 16" x 32" print or canvas or any other 1:2 ratio size such as 12" x 24". 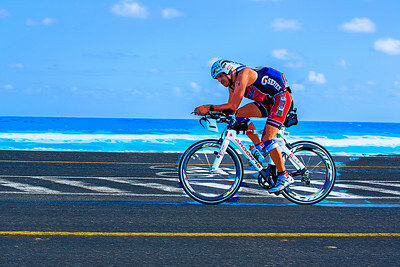 Against the Wind… A lone cyclist sports the colors of Mexico and rides into the wind during the 112-mile cycling stage of Ironman Cozumel 2013 along Playa Oriente near Mezcalitos on the east side of the island. 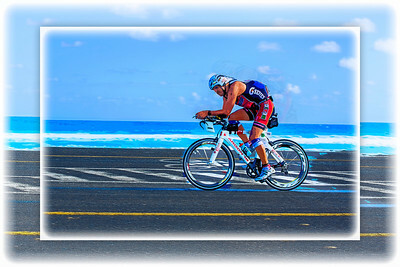 Against the Wind… A lone cyclist sports the colors of Mexico and rides into the wind during the 112-mile cycling stage of Ironman Cozumel 2013 along Playa Oriente near Mezcalitos on the east side of the island. An artistic white frame treatment has been added to this image, which is otherwise identical to the adjacent one. 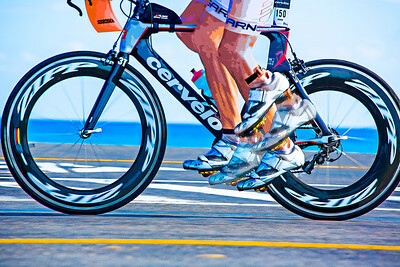 Pedaling hard during the 112-mile cycling stage of Ironman Cozumel 2013 along Playa Oriente on the east side of the island near Mezcalitos. 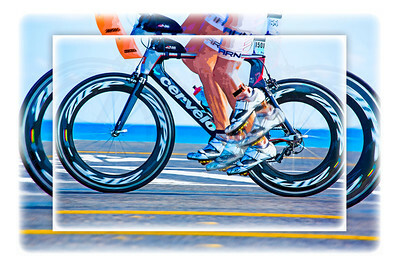 Pedaling hard during the 112-mile cycling stage of Ironman Cozumel 2013 along Playa Oriente on the east side of the island near Mezcalitos. An artistic white frame treatment has been added to this image, but otherwise it is the same as the adjacent image. 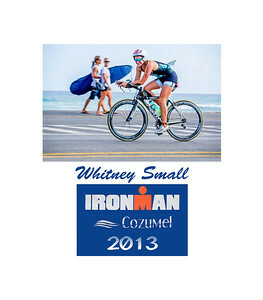 Rounding a corner and heading to the finish line of the 112-mile cycling stage of Ironman Cozumel 2013. 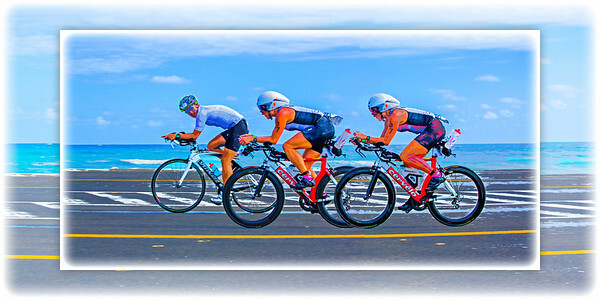 Racing during the cycling stage of the 2013 Ironman Cozumel along the Playa Oriente. This image has been cropped to a 16 w x 9 h format, which will yield a bit of a panoramic print on canvas or metal. 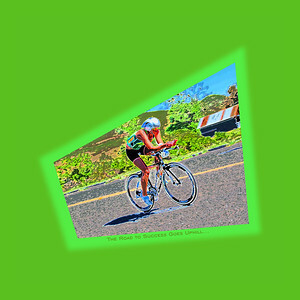 A bit more could be cropped from the top and bottom to create an image that is even more rectangular (i. e., 16" w x 32" h). This image has a "painterly" quality added in post-production processing to enhance detail.